Melatonin is a hormone secreted by the pineal gland that aids biorhythm regulation. Biorhythm is disturbed by stress, crossing time zones and changing work shifts. Melatonin production also declines with age. 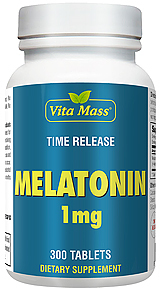 Vitamin B6 aids melatonin metabolism. 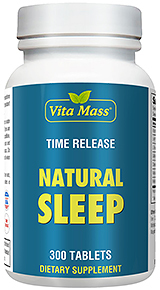 I have taken this product for some time and it is very effective. No Artificial Color, Flavor or Sweetener,No Preservatives, No Starch, No Milk, No Lactose, No Soy, No Gluten, No Wheat, No Yeast, No Fish, Sodium Free. Suggested Usage: For adults, take one (1) tablet only at bedtime .